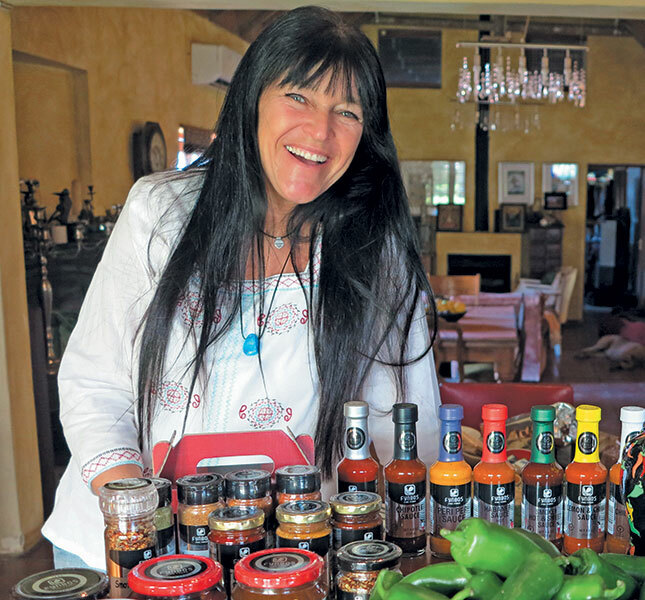 Fynbos Fine Foods, owned by chilli lovers Rozelle and Julian Abramson, has grown from a small business to a prosperous product development and food production business. The operation’s chilli products are exported to various countries around the world. In 1996, Julian and Rozelle Abramson bought 10ha of land in Tierfontein near Malmesbury. They planted chillies and peppers – first in tunnels and then in the open with drip irrigation. Julian and Rozelle make a formidable team: he is a trained horticulturalist with an interest in niche markets, and she is passionate about product development. Julian worked in Canada for BC Hothouses for seven years, with Punjabi colleagues who planted a few chillies for themselves alongside the tomatoes. “I used to eat with them because I love hot food,” he recalls. After buying the Tierfontein property, Julian and Rozelle built their house, then put up a high-tech greenhouse to grow peppers. They started with 1,5ha of shade cloth and plastic tunnels housing yellow, orange and red peppers, as well as varies types of basil and seedless watermelons. “It was like a ‘chef’s garden’ to start with, but it wasn’t cost-effective because the cost of getting the produce to market was too high,” he says. Rozelle has created all the products in the Fynbos Fine Foods range in her home kitchen. 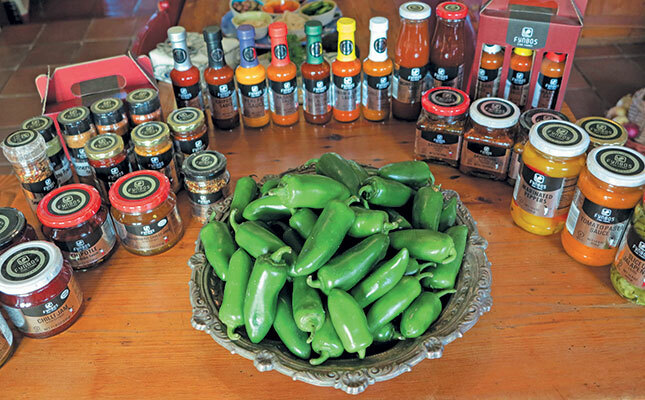 Initially, Julian produced 40 separate chilli varieties, but he now focuses on about a dozen. They include Habanero, Bird’s eye, Cayenne, Korean chilli, Jalapeno, Poblano and African ghost chilli. “We have farmers growing for us because we now concentrate on the factory and production. The farmers are mostly our neighbours because this generates employment and upliftment in our area, which is part of our aim and our mission statement for the business. We want to positively impact our immediate community,” he says. Most of their output goes to other manufacturers and stores such as Fruit and Veg City during their chilli season from January to the end of May. Julian was one of the first farmers in the Western Cape to grow yellow and red peppers. His customer at that time was a large supermarket chain. One day, however, after he arrived to deliver his peppers, the manager refused to pay the price agreed. Julian in turn refused to sell at the low price offered and immediately began looking for alternative customers. Fortunately, he managed to find smaller markets. Initially, growing was the Abramsons’ primary focus; today it is processing. They use between 30t and 40t of chillies alone every year. “Growing chillies is easy, but very labour-intensive. Selling them is more difficult, so being a straight chilli grower is tough. Chillies and peppers are still our passion, along with their niche markets. We also do product development for other brands under their own labels for upmarket food stores both locally and abroad,” explains Rozelle. All new products originate in her home kitchen. “The initial products were what I wanted to taste!” she recalls. All new products are tested on pizzas made in the couple’s wood-fired pizza oven. “The tastes must all be balanced. You can’t bring out a product if you don’t like it yourself,” she stresses. All Fynbos Fine Foods products are gluten-, preservative- and colourant-free and have a shelf life of two years as they are pasteurised. Approximately 70% of production is exported to Europe, the US, Canada, Japan, New Zealand and the UAE, with some products sold under private labels and others under the Fynbos Fine Foods label. The products have broad appeal as they are vegan, Halaal and Kosher. Julian markets the products through food markets and shows all over the world. This year, he visited Peru, Turkey, France, Dubai and China. 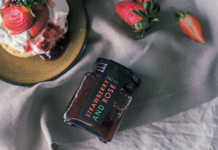 The products are nevertheless thoroughly South African, with ingredients sourced as close to Malmesbury as possible. Rozelle emphasises that finding the market is always the first task. They “put their heads together” on the branding and try to make it as eye-catching as possible, using reflective labels. Fynbos Fine Foods also has an online shop, making their products available to as wide a market as possible. “There’s so much red tape that we employ somebody to deal just with that,” says Julian, who says the factory has even been inspected and audited by US Food and Drug Administration (FDA) marshals. Label legislation and requirements are also very strict, and differ from country to country. Interestingly, South Africa has amongst the strictest labelling legislation in the world. 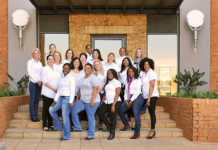 Nonetheless, growth is very much evident: Fynbos Fine Foods recently doubled its capacity to facilitate growth over the next two to three years. Fynbos Fine Foods has been Fair Trade-audited for 17 years. “Many socially responsible companies like our product,” says Rozelle. “We left South Africa because of apartheid and came back from Canada wanting to make a difference. So it was easy to comply with the Fair Trade requirements. “We have 42 staff in the factory, and the outdoor staff can increase to 60 people in peak season. Many have been with us for a very long time. They’re happy with what they earn and we offer them many empowerment courses, from computer courses to teaching women to manage their money. Rozelle says that she and Julian are keen to change the general perception of chillies from ‘burn’ to a flavour enhancer for other ingredients. 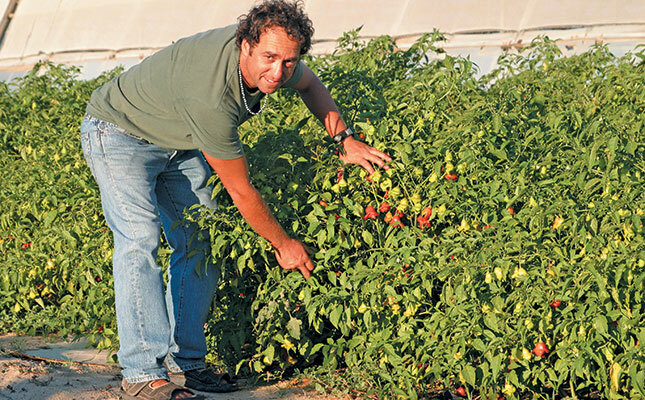 Julian Abramson remains a chilli farmer at heart. “The most boring meal comes to life with chilli products,” says Rozelle, whose favourite is still her first creation: chilli jam with ginger. Julian’s favourite Fynbos Fine Foods product is an aged habanero sauce called Habanasco. It is also their simplest, with just three ingredients. Both agree that the secret to their success is passion and perseverance. “Hanging in for the first many years and not making a profit was very challenging. It sounds romantic but it was tough, as we didn’t start with much money. The way of life saw us through, but I think most people would have given up. So our success is that we are still in business,” says Julian. “And having good people working for you, respecting them, treating them well, having compassion and gratitude have all contributed to our success,” adds Rozelle. Phone Fynbos Fine Foods on 022 485 7358, email: [email protected] or visit fynbosfoods.com.